After Vince Clarke and Alison Moyet dissolved Yazoo in 1983, Clarke decided to start a new project with the duo's producer Eric Radcliffe (E. C. Radcliffe). 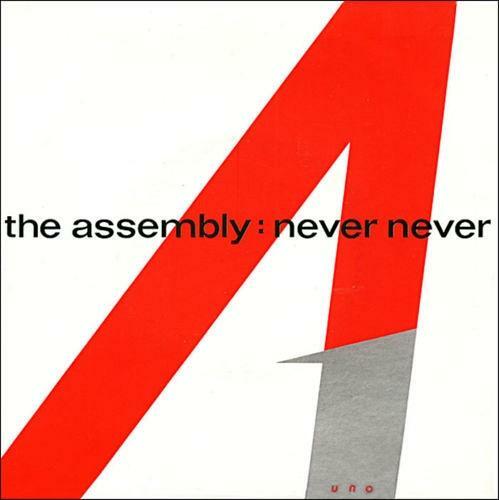 However, The Assembly disbanded after just one single release, despite it being a commercial success. The duo had planned to release a number of tracks with a different guest vocalist singing on each one, but sadly, it was never never to be! The pair's only single "Never Never" (released on the Mute Records label) featured Feargal Sharkey as guest vocalist. He was never an official member, and his own band, The Undertones, has also just disbanded - band members and brothers John and Damien O'Neill went on to form That Petrol Emotion in 1984. The song has a similar feel to Yazoo's debut hit single "Only You", which reached No.2 in the UK. "Never Never" wasn't quite as successful, but, nonetheless, did reach No.4 for one week on 20th November 1983, and spent four weeks inside the top 10. The single entered the UK singles chart at No.36 on 6th Nov, making it the second highest new entry that week - The Rolling Stones were the highest new entry at No.21 with "Undercover of the Night". The video centres around two locations; a windmill and a traveller family, who are stood in a group outside their caravans. 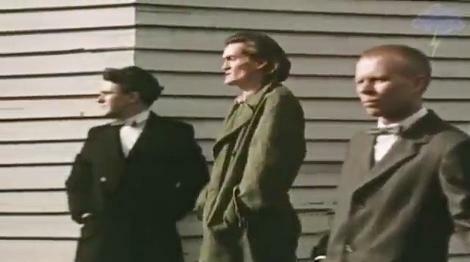 Vince and Eric stand emotionless behind Sharkey, in and around the windmill, which adds to the melancholic ambience of the song. The only other track ever released by The Assembly featured as the B-side. "Stop/Start" was an instrumental composed by Vince Clarke. Feargal Sharkey performed "Never Never" with Erasure at the Short Circuit Music Festival in May 2011. The song featured on the soundtrack to the 2006 video game Grand Theft Auto: Vice City Stories, and on the radio station Emotion 98.3 in the game.